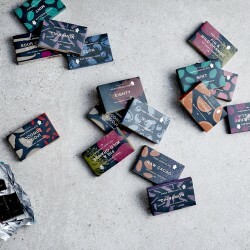 Pana Barbounis founded Pana Chocolate with the intention of creating a rich, luxurious chocolate the whole world could enjoy. Completely raw, vegan, gluten free, soy free, organic, no refined sugar, these bars are all handmade and hand packaged. Smooth, rich, and silky, and a little unexpected, they're full of antioxidants, amino acids, vitamins and minerals. Enjoy a myriad sensations: cacao melting on the tongue, surprising bursts of citrus or herb and natural sweetness. Chocolate that's good for you and can be enjoyed by anyone. 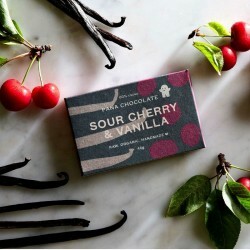 Pana won an Academy of Chocolate award and was featured in the Huffington Post.